Emory Saint Joseph’s Hospital cardiothoracic surgeon Douglas Murphy, MD received the E. Napier "Buck" Burson, Jr., MD Physician Award of Distinction, the hospital’s highest honor for physician service. Emory Saint Joseph’s Hospital cardiothoracic surgeon Douglas Murphy, MD received the E. Napier "Buck" Burson, Jr., MD Physician Award of Distinction, the hospital’s highest honor for physician service. The award is named for the late Burson, former chief of staff at Saint Joseph’s Hospital, and a leader in the field of gastroenterology who pioneered the diagnostic tool of GI endoscopy. “For more than 30 years, Dr. Murphy has been a tireless and compassionate advocate for our patients at Emory Saint Joseph’s, and the Burson Award is a well-deserved honor in recognition of his service and commitment,” says Heather Dexter, CEO of Emory Saint Joseph’s. An associate professor of surgery at Emory University School of Medicine, Murphy serves in two roles at Emory Saint Joseph’s: as the chief of cardiothoracic surgery, a position he has held since 1995; and since 2010 as the director of robotics. Murphy received his medical degree from the University of Pennsylvania School of Medicine, followed by the completion of his internal medicine and general surgery residencies at Massachusetts General Hospital. After completion of his cardiothoracic surgery fellowship at Emory, he joined the Department of Surgery faculty and established the Emory Cardiac Transplant Team. In 1987, he was appointed director of cardiac transplantation at Saint Joseph’s Hospital, and performed the facility’s first heart transplant. That year, Murphy and his team completed 47 heart transplants, making it one of the highest volume programs in the U.S.
Murphy’s innovative approaches in cardiac care also extend to the field of robotics. 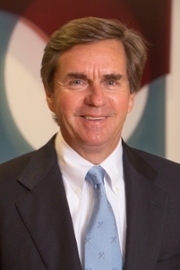 An early advocate of minimally invasive cardiac surgery, Murphy is a pioneer in the field, leading one of the first U.S. cardiac surgery teams as the principal investigator in clinical trials using the Intuitive da Vinci® Surgical System for atrial septal defect repair and coronary bypasses prior to FDA approval. Murphy performed the state’s first robotic heart surgery at Emory Saint Joseph’s in 2002, and due to his achievements, the hospital was named the exclusive cardiac southeastern training center for the daVinci system in 2004. Since that time, Murphy has trained surgical teams around the world in the LEAR technique (Lateral Endoscopic Approach using Robotics). The technique, developed by Murphy’s team, allows open heart surgery to be performed through five small holes in the right chest. Murphy has published many scientific papers on the use and success of robotic cardiac surgery, and remains active in performing, researching and teaching. Most recently, he achieved a world record after completing his 2,000th robotically assisted mitral valve surgery at Emory Saint Joseph’s. Murphy’s leadership and community involvement includes serving as the chair of the Heart and Vascular Institute from 2007 to 2009 and providing longtime support to Mercy Care and more recently, the Atlanta Police Foundation. In 2005, Murphy was the recipient of the American Heart Association’s Distinguished Physician Award. Accepting the Burson Award, Murphy acknowledged this honor is the result of a team effort. “The successful patient outcomes we have had are all due to our team -- from the nurses to anesthesiologists to perfusionists,” says Murphy. Murphy performs minimally invasive robotic surgery using a specially-designed computer to control surgical instruments on thin robotic arms. This requires the skill, support and organization of his team, including first and second surgical assistants Ted Cocian and Jeannette Karstensen, who have a combined 37 years of experience working with Murphy. “When I am working at the robotic console, I rely on the team for their invaluable assistance with sutures and instruments at the operating table,” he described. In addition to the Burson Award ceremony honoring Murphy, more than 80 physicians were also recognized during the Medical Staff Years of Service Awards, ranging from five to 55 years. Robert Wood, MD, was commended for his 55 years in practice as an orthopedist.